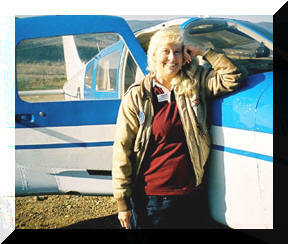 Dr. Penny Hamilton is an award-winning aviation educator and writer. She co-holds a World Aviation Speed Record. Dr. Penny was inducted into the Colorado Aviation Hall of Fame (2011), earned the National Association of State Aviation Officials Journalism Award (2012), and is included in the Colorado Women's Hall of Fame (2014). Penny was inducted into the Colorado Woman's Hall of Fame in March 2014. Click on the photo to see a short video with Penny.